So we’re four months into the year and brands are bringing out bigger and better than ever product lines and Montblanc is no exception. 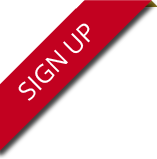 Montblanc is known for its high-quality, consistent products. From writing instruments to stationery to leather goods, you can find something to suit you perfectly. As it’s 2019 we’ve received in tons of new Montblanc writing instruments covering all ranges. As of 15 days ago, Montblanc brought out their new Le Petit Prince and Aviator collection. This beautiful collection is a follow on from their original Le Petit Prince collection consisting of deep blue writing instruments. The Le Petit Prince and Aviator collection is focused upon the pilot meeting the Little Prince in the Sahara. A remarkable bond formed between the pair when the Little Prince asked the pilot to draw a picture of a sheep. Three unsuccessful attempts later and finally the frustrated aviator finally drew a simple box, claiming that the sheep is inside it. The little prince is satisfied. Below are the latest writing instruments we’ve had in for the Le Petit Prince and Aviator collection. 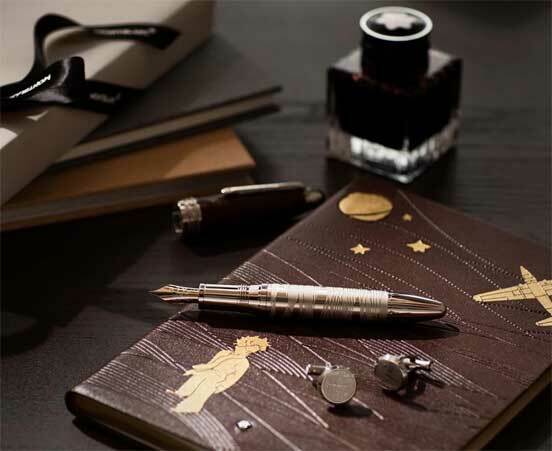 The above image showcases the simple Montblanc Classique Petit Prince collection. 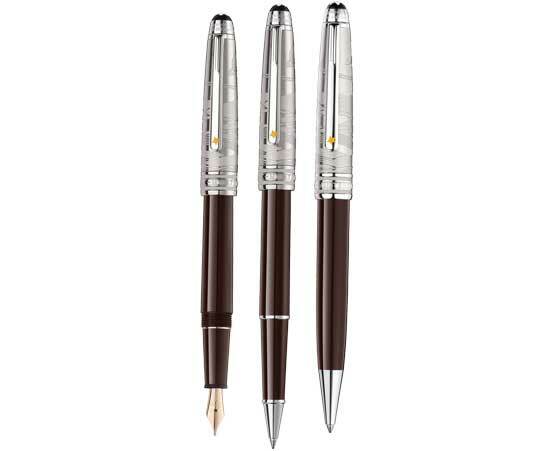 We have the Classique fountain pen, Classique rollerball pen and the Classique ballpoint pen. 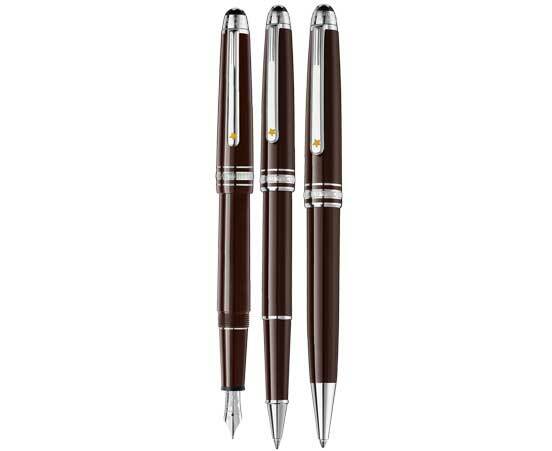 All made out of Montblanc’s finest precious resin these writing instruments are comfortable to use for extended periods of time. The next set of images showcase the Montblanc LeGrand fountain pen, LeGrand rollerball and Midsize ballpoint pen. These are the simplest writing instruments in the Petit Prince collection but they’re just a little larger than the classique collection, featuring a brown precious resin barrel and cap with platinum-coated trims. This next set is the Le Petit Prince Doué Classique fountain pen, Doué Classique rollerball pen and Doué Classique ballpoint pen. What makes the Le Petit Prince Doué Classique writing instruments special is the contrasting platinum-coated engraved cap. The caps feature the Sahara desert engraving. Finally for the Le Petit Prince writing instruments is the Solitaire Doué LeGrand fountain and the Solitaire Doué LeGrand rollerball pen. 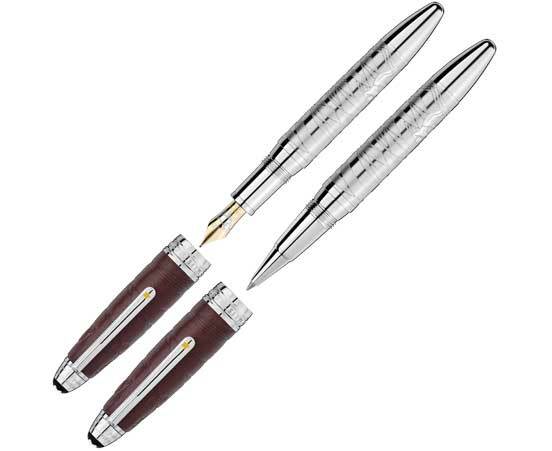 Similar to the Doué Classique writing instrument, these writing instruments have platinum-coated features. Both writing instruments feature a platinum-coated barrel engraved with the Sahara desert whilst the cap has been made out of premium leather with the embossing of the desert. We’ve also received in the Le Petit Prince medium ballpoint refills, Le Petit Prince ink cartridges and Le Petit Prince 50ml ink bottle and premium leather notebook with lined pages. We also have plenty more Le Petit Prince and Aviator products here. In honour of Marilyn Monroe, Montblanc has released a collection of writing instruments inspired by her love of something. Recently we have received in the white pearl edition. Monroe continues to be an icon and inspire women all around the world. 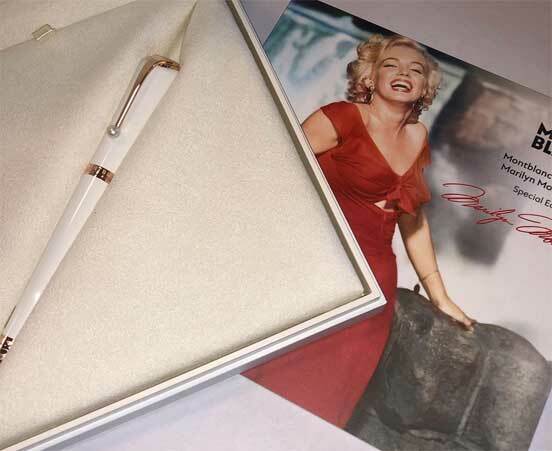 We have the Marilyn Monroe Pearl fountain pen, Marilyn Monroe Pearl rollerball and the Marilyn Monroe Pearl ballpoint pen. 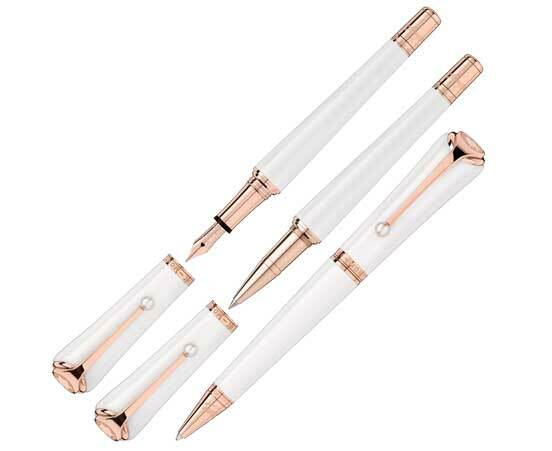 White precious resin writing instruments are inspired by Monroe's love of jewellery and love of pearls. Montblanc’s Patron of Art collection focuses upon paying homage to the most important patrons of art and culture in the past centuries, those whose personal commitment and achievements deserve wider recognition. This year's homage is Hadrian Roman emperor from 117 A.D., to 138. 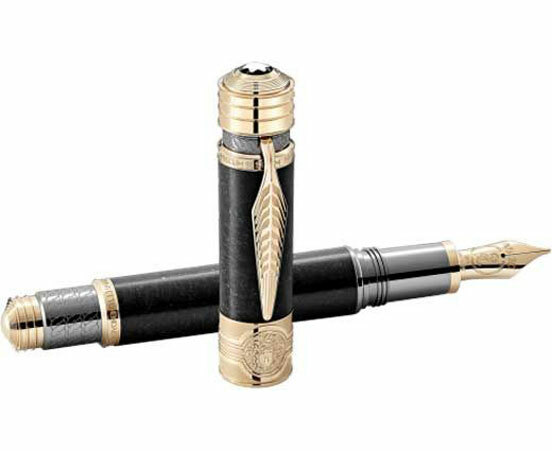 What makes this Limited Edition Hadrian fountain pen special is the basalt stone barrel and cap with gold-coated trims. Hadrian was massively into infrastructure and the arts. Montblanc’s Great Characters collection focuses upon honouring great figures from history with their groundbreaking work. Now, this is an old release by Montblanc but we’ve just received it in. 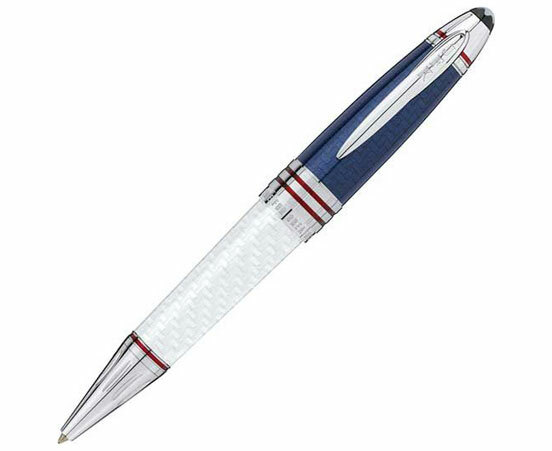 In honour of JFK and his love of sailing, we have the Limited Edition 1917 ballpoint pen in. JFK was the 35th president of the United States. 1917 comes from JFK’s birth year. 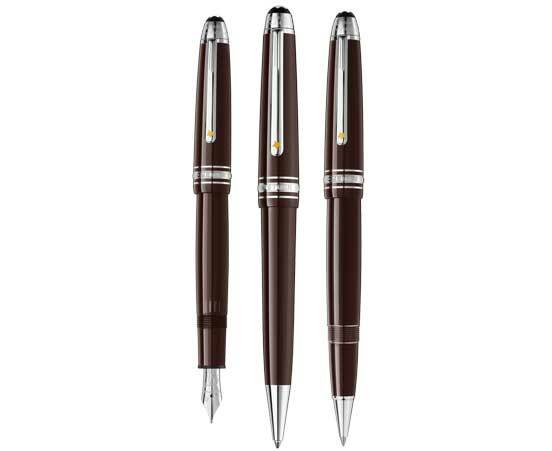 Inspired by his birth year Montblanc only created 1,917 of these ballpoint pens.